We have catered any event from personal home parties to Charity events. Please let us know what you would like so that we may cater an event to your desires. At Trattoria Reggiano, the only celebrity in our kitchen is the food. 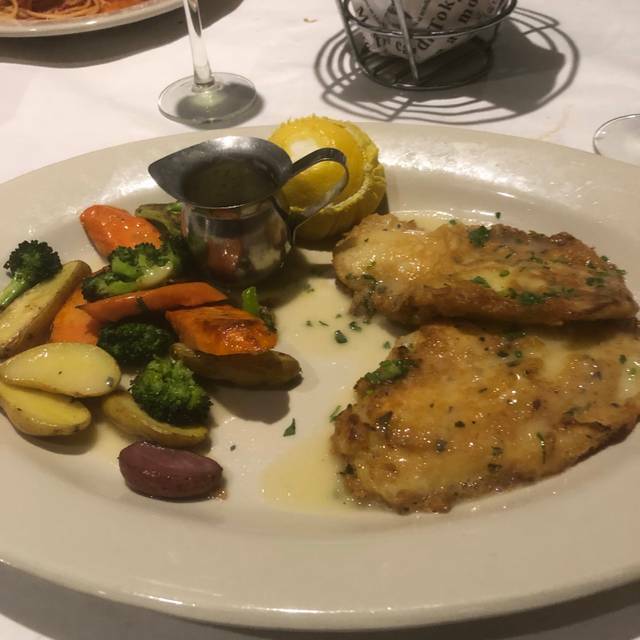 With ingredients sourced locally and in a sustainable way whenever possible, our traditional menu and restaurant décor will transport you to an authentic Italian street-side trattoria! Our menus are sure to please with a business/ casual lunch menu, dinner menu, daily specials, high quality children offerings and happy hour. Enjoy Live Entertainment during Brunch and dinners from Tuesday through Saturday. When hunger strikes, guests can choose to eat in either the bar, casual dining room or our outdoor temperature controlled and glassed in dining patio. 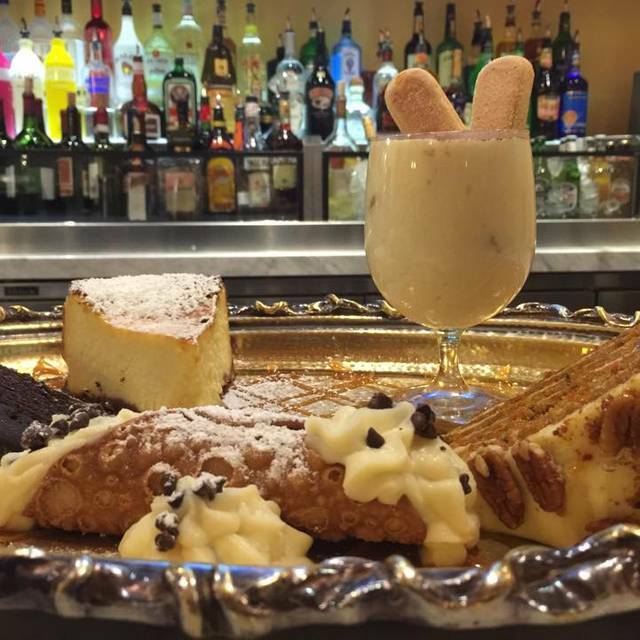 When enjoying our fine selections of wine, imported beer or specialty cocktails, the hard part will be deciding which of our traditional pasta offerings, Neapolitan Pizzas or signature entrees you will treat your taste buds to. Join us for Weekend Brunch featuring both classic and European brunch items as well as bottomless Bellini and Mimosas! Always good -food,service and ambience! We go there once a week and we're treated very nice! Ordered a veggie pizza. Price $18, approx 10". Very skimpy! Out of all the toppings you can put on a pizza, vegetables are the cheapest! I asked for fresh basil on top. They must have taken one basil leaf and cut it into 4 pieces. There wasn't a bite of this pizza that included a bite of vegetables that overlapped. I could have taken all the vegetables off the pizza and they wouldn't have even filled a 1/2 cup. This was not a vegetable pizza, it was a skimpy cheese pizza with a hint of veggies. Your profit margins need to be reevaluated on this pizza. Blaze Pizza loads it up with a greater selection of veggies for less than $10. Craig Canter- the entertainment for the evening, saved this meal. This is our go to place for celebrating. Love everything about it. Great staff, wonderful food. Food and service was exceptional. However They need to offer good and reasonably priced wine. Don’t want to pay 50 for a very mediocre bottle of wine. We had guests visiting from out of town and made reservations for a Friday night. We were expecting an evening out to catch up, but were seated in the outer area (but not outside) which resulted in a more casual and noisy (families with kids) experience. The waitress was casually dressed with a ball cap and the sports games were on so it had a sports bar-type atmosphere. We had to speak loudly to hear each other and the waitress provided good service but seemed stressed. We had been once before about a year ago and had a more of a fine dining experience. Would have gone to BJs Brewhouse for that type of experience and a lot less money. Fabulous dinner and free wine ... we enjoyed the pasta, calamari, meatballs. Breakfast food could have been bettter-vegetable omelet greasy, potatoes cold and inedible, lox had brown spots. Lunch items ordered were excellent. 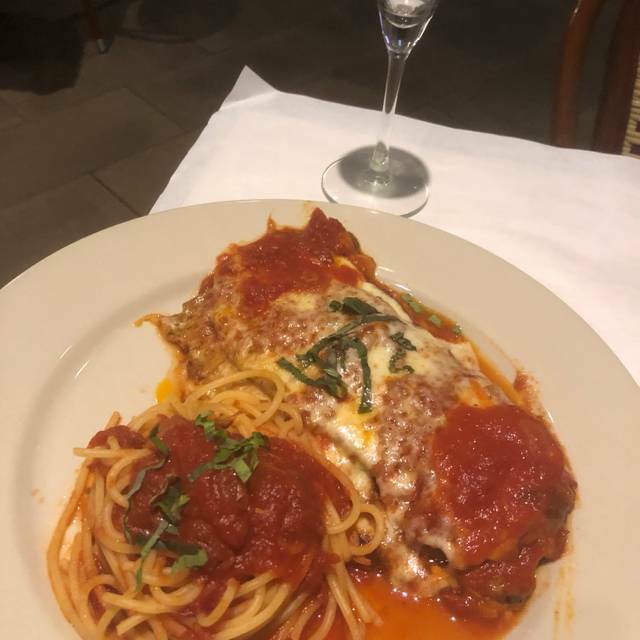 it is my new favorite restaurant, I have been there 3 times in less than 2 months, and I love it, the service is excellent, the food is delicious... I live in Henderson, and I don't mind to drive to Summerlin. I can not wait for my next time, probably in 2 weeks. Always good food and superb service!!! Best restaurant in town!!! Find was over cooked. Table was squeezed between bar and outside seating. Food and service is always outstanding. The meatballs are the best we have ever had!!!! Great job!!!!! We had a wonderful brunch. The food was super as always! We dined here for Sunday Brunch and enjoyed everything about this restaurant experience. The staff were extremely welcoming, even opened their doors a bit early to accommodate us. Started with beverages at the bar (fantastic selection) and moved to a table on the patio. Their patio is enclosed but all windows slide open so you can enjoy without the elements creating an issue. When it came to the food...just...WOW! Fresh garlic knots are brought out and they were warm, fresh and delicious. We ordered from the brunch menu and every bite was enjoyed. We will definitely be back again and again. Shout out to Wendy, Rici and the team...we had a wonderful experience! Great family experience for our after movie night. Love the round table and energy of restaurant. It’s not cheap but portions are big and lots of leftovers. Wonderful food and service. Food was delicious. Seasoned well, and came out quickly. I really have no complaints. Always wonderful. Excellent food and great service. We have dined there many times and it gets better and better all the time! The food, the service and the ambiance is the best!!! Fabulous menu with great gluten free, vegetarian and vegan options. Very attentive service and very knowledgeable about the menu. I have only good things to write about my experience at this restaurant. Great food, great service, nice live music!! Amazing!!! Will definitely be back soon!! Always great. Mark (the new manager) is a wonderful addition to the team. Hilda is great as usual. Great food, great music. Have eaten there many times and it is always great. Very good, very consistent food served at the right temperature. Service was friendly, professional and efficient. We drive a long way to get there and it is always worth it. The fab 4 strikes! Fab food, fab service, fab ambience, fab value. The food was good but my husband did not like the sauce on his chicken. The manager Wendy was great. She gave him a sample of another sauce to try which he liked better.Very personable and our waiter was great. They have music that starts at 7pm too which we weren't aware of...nice addition to dinner. Great food and wonderful service. My husband and I will definitely be back soon. would absolutely recommend to others. Have been there several times; always a good experience. 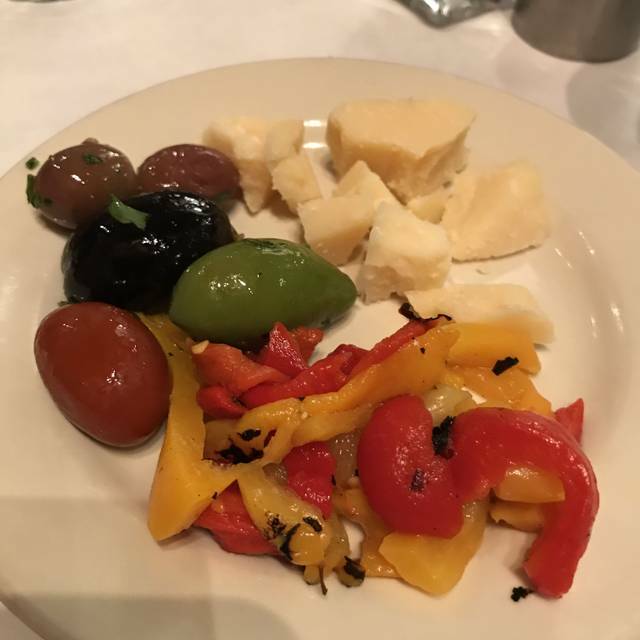 Our server (whose name I cannot remember but was an older gentlemen from Rome) was the best we have ever had; attentive, made great suggestions; did not make us feel rushed, but we never had to wait for the next course--bellisimo ! A wonderful place to dine! Very festive and the service is outstanding! We went for our usual family dinner! We don’t go out to eat very often but when we do, it’s Trattoria Reggiano. The food is unbelievable. We have never had a bad experience...we don’t know how they do it every single time!! Again, the food is to die for!!! Everyone MUST go!!! Amazing place, food, & service! They have awesome cocktail choices and taste great. Nice surprise. My chicken with lemon light and not a thick sauce. Service very pleasant. Gave birthday cards and dessert. Very kind. This was amazing. Our waiter, Jason, was so great. He made sure we had everything we wanted and gave us a run down on the menu and made some recommendations since I asked and am very picky. The food was absolutely amazing. Totally worth the price even though it’s a pricey. We will definitely be going back and can’t wait to try more things on the menu. We had the tortellini Alfredo and I loved it. And my boyfriend had the lobster ravioli and it was good but the sauce was a little weird; my boyfriend compared it to fideo. 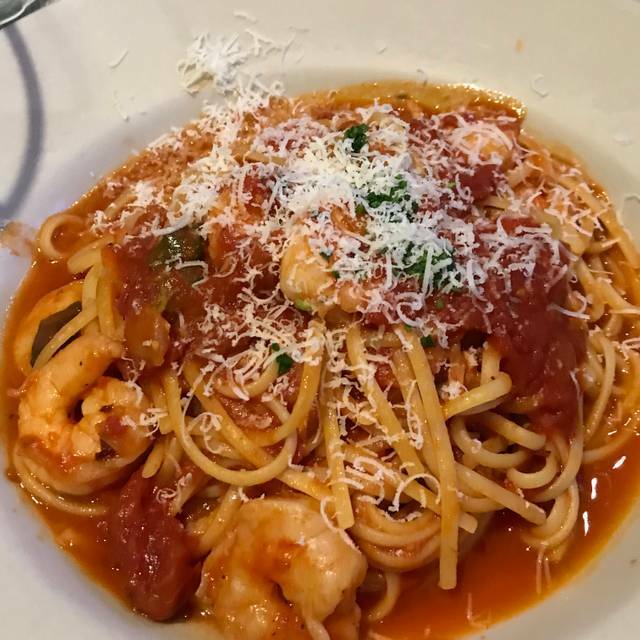 It's always a great experience dining at Trattoria Reggiano. The food, service and ambiance is great!